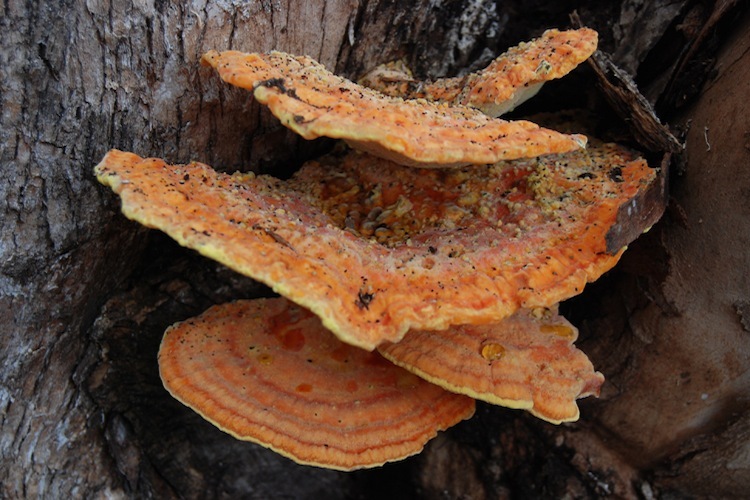 Laetiporus are some of the most charismatic and recognizable of all polypores. Easily one of the most conspicuous members of its family in our area, the bright orange-yellow shelves masses are eye catching, especially in the late summer when little else is fruiting. Parasitic on a wide range of hardwoods (species outside of our area occur on conifers as well), causing a cubical brown rot that gradually weakens their host. Easy to recognize to genus, and fairly easy to identify to species with knowledge of host tree identity. Important identification characters are those used to recognize the genus as a whole: orange-yellow coloration, pored shelving fruitbody on wood, and host tree species identity. 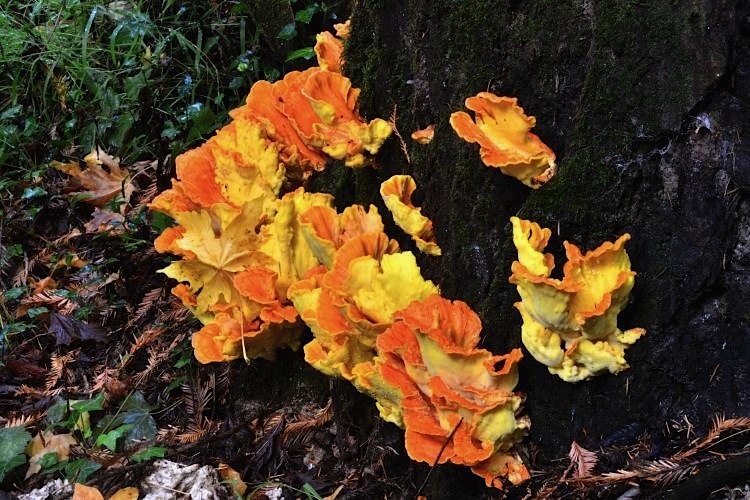 The single local species occurs on oak and eucalyptus - any records from other hardwoods are notable, and any specimens found on conifer wood should be photographed and vouchered, as the may represent Laetiporus conifericola.